I’m not going to say that Danny Hultzen is *the* singular pitching prospect I think about when I consider how fraught with peril this business is of developing a big-league-caliber pitcher, but he is definitely one of the top guys who comes to mind. For those who are not familiar, Hultzen was the second overall pick in the 2011 MLB Draft out of Virginia. The tall lefty had made something of a mockery of the ACC in his three college years, winning Freshman of the Year honors, then Pitcher of the Year honors, and then the John Olerud Award (best two-way player in college). That he was selected just after Gerrit Cole at the top of the draft was not a surprise, nor, necessarily, was it a surprise that he immediately got a big league contract (back in those days, you could do that as an enticement to sign). The guy was as certainly a future stud as a pitching prospect can be. But, the thing is, pitching prospects are still only prospects, and pitching ones at that. Troubles arise for even the best of the best, as we just saw with the now-retired Mark Appel, though for Hultzen, it was entirely about his health. 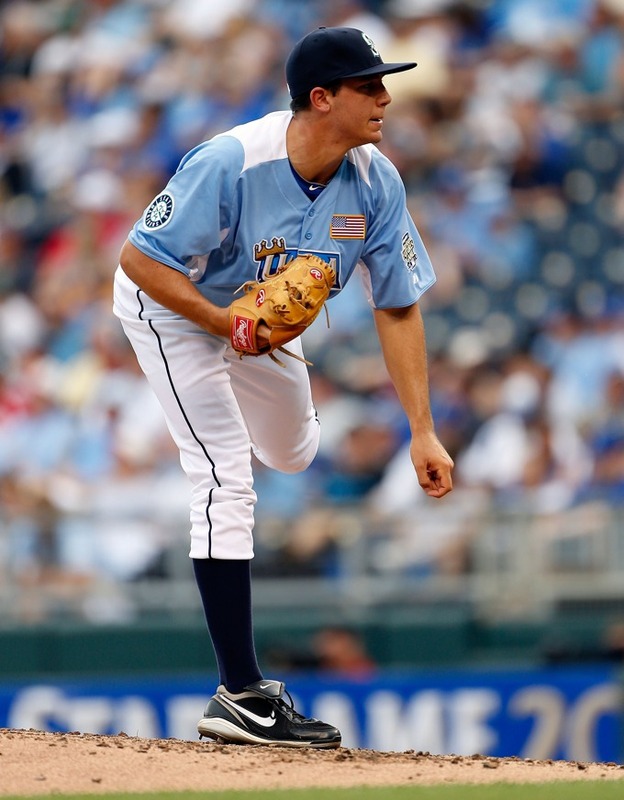 After pitching through pain to try to prove his worth after signing that big league contract, Hultzen was forced to have major shoulder surgery during the 2013 season. 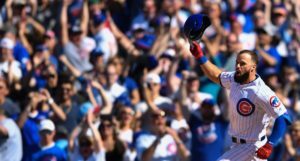 His comeback proved long, and unsuccessful – he logged just 10 innings after that – and he had to have another shoulder surgery in 2016. His plan has been to recover, get his degree from Virginia, and try one last time to make a comeback in the Spring of 2018. Well, that’s now, and, per the Tribune, the organization that he’ll reportedly try to do it with: the Cubs. Now 28, Hultzen’s return to pitching professionally at all would be an impressive story, and something that other prospects throughout the team’s system could watch and learn from. His hard work and perseverance is impressive, as is his honesty about the mistakes he made in taking care of his body and not being willing to seek help sooner. Hultzen, it should be noted, also spent some time last year as a volunteer coach at UVA. Despite the impressive pedigree and the talent he once had, expectations for Hultzen should be low. Pitching competitively again after two major shoulder surgeries is just not something you see. Moreover, if he’s still looking to start, Hultzen would be behind guys like Eddie Butler, Michael Roth, Jen-Ho Tseng, and Adbert Alzolay, among many others, in that chase to be the “seventh starter”, picking up big league innings here and there throughout the year. 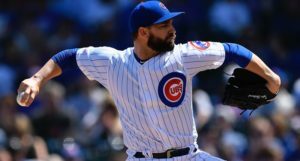 The road might be a little more clear as a reliever, but then, the Cubs already have about 12 good arms competing for 8 bullpen jobs, and as youngsters rise through the system, it’s not at all certain that up-and-down chances will develop by midseason when Hultzen might have shown enough to get a look. 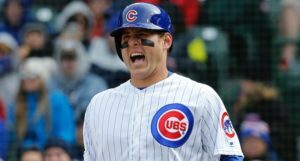 But it’s a great story to follow, and there’s no reason not to root for the former top prospect, who’ll participate in Cubs’ minor league Spring Training this year. More on Hultzen’s struggles and attempted comeback here at the Washington Post. Interesting and random note in there: it sounds like Hultzen was using a crossfire delivery (as Jake Arrieta does), which he was warned about for years. But, unlike with Arrieta, where the warning about not using it was mostly because it’s hard to command pitches that way, for Hultzen they’re saying the warnings were about the stress it was putting on his arm. I suppose I could see that, since the whole point of crossfire – where your landing foot is over a bit toward third base (if righty; or first base if lefty) – is that it adds a ton of deception by hiding the ball longer, and then coming around at the batter from an unfamiliar, imposing angle. That whipping around, I could see it causing additional stress on the arm.